The Vigor 130 works very well as VDSL (Vectoring) modem in connection with a Sophos UTM. Therefore the modem is configured in PPPOE pass-through mode – this way all connection related details like credentials are configured by the Sophos UTM. Because the vigor 130 has only one Ethernet interface I always had to re-plug some network cables just to watch the DSL status via the webinterface of the „modem“. 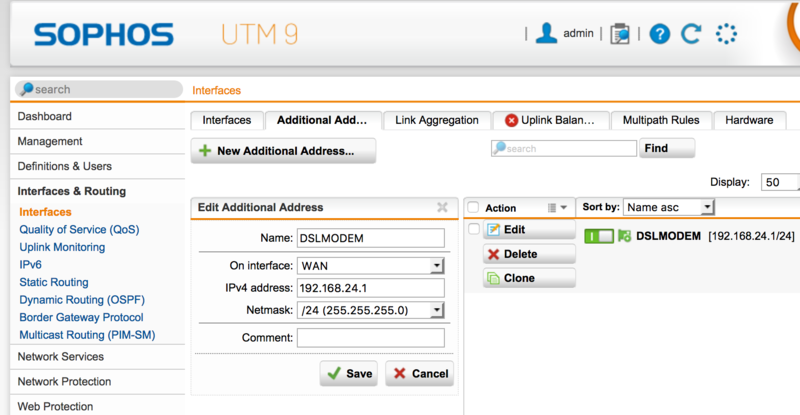 Here are some hints on how to connect to the modem interface (using just basic routing). In my case my LAN subnet is 192.168.23.0/24. 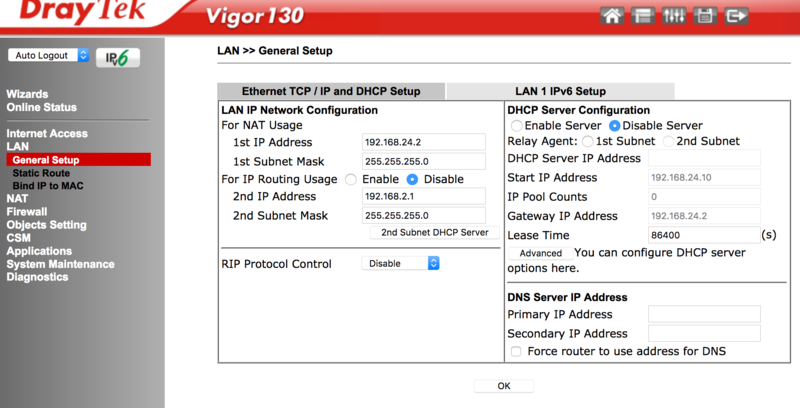 the vigor allows not to change the default route, but that is also not neccessary if you have only one LAN subnet.